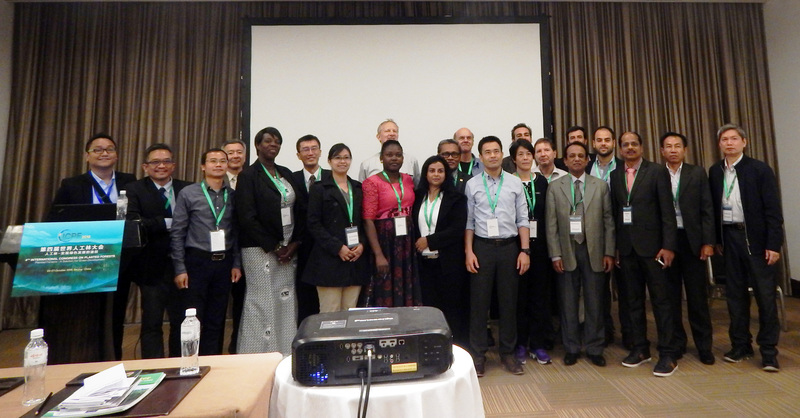 The 27th session of Asia Pacific Forestry Commission (APFC) meeting was organized by the FAO of the United Nations and hosted by the Forest Department of Sri Lanka during 23-27 October 2017 in Colombo, Sri Lanka. The theme of the APFC “Forestry in a New Landscape” aims to cover a range of related topics including climate finance, forest and landscape restoration, community based forestry and urban forestry. The 27th APFC was officially opened on 24 October in Bandaranaike Memorial International Conference Hall (BMICH), inaugurated by the President of the Republic of Sri Lanka, Mr. Maithripala Sirisena. As part of the APFC Meeting, TEAKNET in association with IUFRO Teakwood Working Party (Div 5.06.02) organized a Partner Event “Teak in Productive Landscapes: An Introduction to Global Efforts for the Conservation and Sustainable Management of Teak Resources“ on Wednesday, 25 October 2017 , at Saffron Room at Bandaranaike Memorial International Conference Hall, Colombo, Sri Lanka.